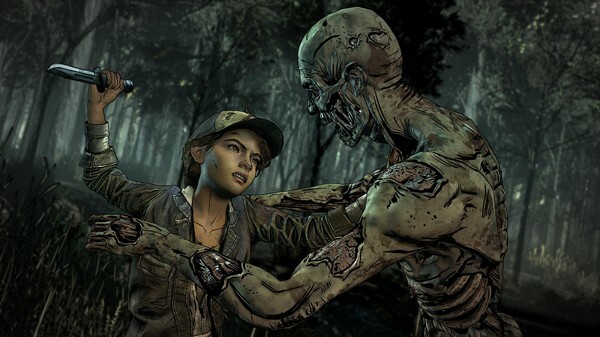 TWD has returned for its final chapter, and when it comes to The Walking Dead: The Final Season, the biggest shocks aren’t in the story but in the massive overhaul to Telltale’s engine. Like when Uncharted showed up to take Tomb Raider‘s glory away back in 2007, Life is Strange pulled the same trick back in 2015. However, this time the victim was Telltale. In both cases a new franchise launched which borrowed heavily from another franchise but improved so vastly upon the mechanics and gameplay of that franchise that it drew harsh comparisons between the two. Now, completing the loop, Telltale appears to have taken as much influence from the Life is Strange series as LiS borrowed from Telltale to begin with. The first thing most players will notice about The Walking Dead: The Final Season is how different the game feels as soon as it unleashes you in an open environment. The ability to walk or run at the tap of a button and the full, unrestricted use of the game’s camera are immediate upgrades that will be readily apparent to folks with even a passing familiarity with Telltale’s old engine. 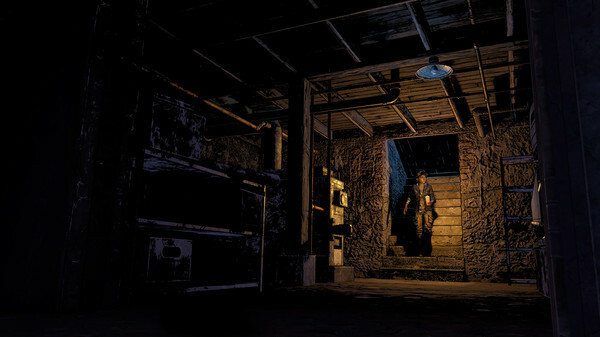 No longer are you exploring static environments from fixed angles, The Final Season puts the player in absolute control of their environment and how they wish to see it. However, the changes don’t stop there. The combat system has also been modified, allowing players to utilize either a quick stun move or a more time-consuming killing blow while moving freely around the environment. For example, an early combat section, in a forest with four approaching walkers, allows the player to pick them off one by one while using the trees to stagger them out, utilize a series of traps to make short work of them, or a combination of the two. This change might not sound that dynamic but when you’ve got that controller in your hands you will absolutely see the difference. The familiar feeling of waiting for walkers to approach and looking for a QTE prompt are over, instead you’re free to handle combat as you see fit, and the freedom is as dangerous as it is intoxicating. To offer some context, this writer bit it four times in a row before nailing the aforementioned combat section, a rare experience for someone who has played through every other Walking Dead title up until this point. More changes abound in the trophy/achievement department. While Telltale’s games have long been the accepted rule when it comes to snagging an easy platinum or perfect score, The Walking Dead: The Final Season throws that tradition to the wind as well. This time around there are not only trophies based on collectibles that can be easily missed, but also secret situational achievements which are only revealed to the player once the proper conditions have been met. Still, I suppose what you really want to know is how well the story holds up, right? Well, you’ll be happy to know that the writing behind the first episode of The Final Season couldn’t be stronger for a premiere. Though it seems obvious in hindsight, you might be shocked to find how many parallels there are between the original Walking Dead and The Final Season. Both feature a morally conflicted adult thrust into the role of parent to a child who is not their own. Both see you, as the player, trying your best to keep that child safe while also giving them the tools they need to survive in this harsh new world. And finally, both succeed remarkably quickly at endearing you to your young charge, and making you feel 100% responsible for them whether you’re ready for the job or not. The main thrust of The Walking Dead: The Final Season — Ep. 1 is to introduce Clementine and A.J. to their new stomping grounds: an abandoned boarding school for troubled youths which is being run by the former students. The absence of any adults is a welcome sight to begin with, but as small cracks begin to form in the seemingly stalwart, if inexperienced, leadership of the group, Clementine will once again have to decide where she stands. That’s about as much as can be said without going into the dreaded spoiler territory but rest assured that you will remain engaged in the first slice of this new story, even if you might find yourself a bit more challenged by the structure, mechanics and goals of the game than you’ve come to expect. 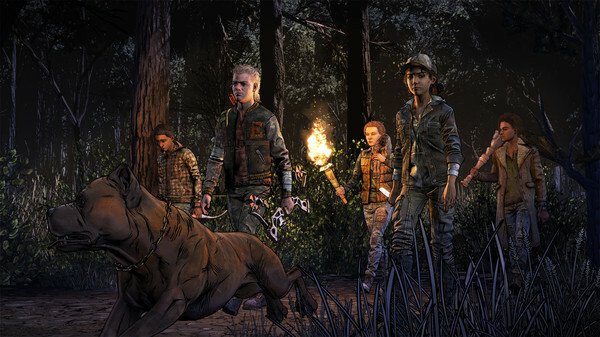 If you’ve enjoyed the stories of Telltale’s games up until now but have found yourself growing weary at the lack of evolution in gameplay, then The Walking Dead: The Final Season is just the game to bring you back into the fold.